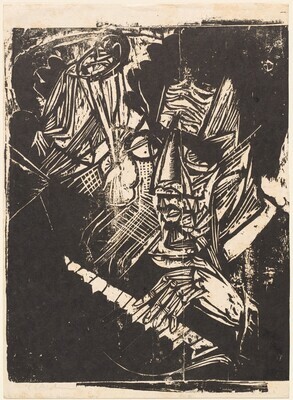 The artist (L.4337); gift 1918 to the Kunstverein Jena, in honor of Botho Graef [1857-1917]; (Galerie Ferdinand Möller, Berlin). Ruth Cole Kainen (Rck, Lugt undesc. ); gift to NGA, 2012. Confiscated in 1937 by the German government as "degenerate art," no. EK 13092 and sold by Möller, one of the agents appointed by the German government's Commission for the Exploitation of Degenerate Art to sell objects purged from German institutions.